This trip offers more than just a passing glance of the West; it lets you become part of it. 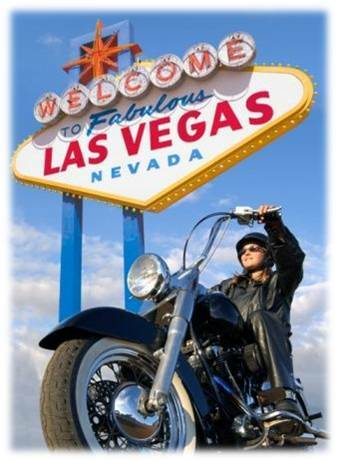 From Mojave Desert cacti and the endless skyline of the Las Vegas Strip to the toll of the historic San Francisco trolley’s bell and the vibrant blue hues of the Pacific Ocean, let yourself become one with your Harley and the road. With two nights each in Las Vegas and San Francisco, this trip allows you to slow down and really soak in two of the great cities of the western world. Oh, and don’t forget your camera. Meet your fellow riders from around the globe and the Ride Free Tour Team late afternoon in the hotel lobby for introductions and a drink before our first group dinner at a local diner famous for their lively atmosphere, as well as serving up some of the freshest and best tasting seafood in all of California. After dinner the Ride Free Tour Team will give a brief orientation and answer any questions about the exciting ride to come. Get a good night’s sleep, as we have a big journey ahead. The Ride Free Tour Team will pick you up at the hotel and head directly to check out your bike. 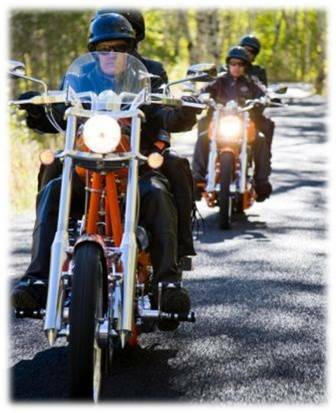 Once everybody in the group has been checked out, the Ride Free Tour Team will give a safety briefing and answer any questions before we saddle up and hit the road. If you have never been part of a group ride on a touring bike before, you will find yourself grinning ear to ear while realizing that you have quickly become the object of envy for every pour soul stuck in their cars on the Los Angeles Freeway system. The only sound more satisfying than the roar of the engines of your fellow riders around you is the rumble of your own Harley as you leave Los Angeles in your mirrors and the great American city gives way to lonely cacti and the inviting warmth of the California desert. You have been waiting a long time for this day. Enjoy the feeling. After lunch at a popular roadside diner on the route we will find ourselves easing closer and closer to the day’s destination, Las Vegas, Nevada. We will arrive in Las Vegas in the late afternoon and calling this city home for the next day and a half. With two nights in Las Vegas, you should have plenty of time to catch a show, walk the Strip and try your luck in all of the amazing casinos. Be sure to let us know if you want to schedule a side trip to visit Hoover Dam and The Grand Canyon via helicopter during our “off” day in Vegas (separate charges apply). This is our “Free” day in Las Vegas. Be sure to let the Ride Free Tour Team know if you have any special requests ahead of time so we can assist you. There is a 3.5 hour helicopter tour to Hoover Dam and the Grand Canyon that is an incredible value! Again, we are happy to get you all of the details. The Ride Free group will leave Las Vegas early in the morning and drop back down in elevation as we enter one of the least forgiving, yet most amazing places on earth, Death Valley. Your Ride Free Tour Team will be sure to make plenty of stops to rehydrate and soak in the amazing sights of this mystic valley. We will leave the vast expanse of Death Valley behind us and start our climb towards the Sierra Madre mountain range and our final destination for the day, Lone Pine, California. Lone Pine is a small mountain town at the base of Mt. Whitney, the tallest peak in California. The quiet streets of Lone Pine are a stark contrast to the skyscrapers of Las Vegas, but the scenery is no less awe inspiring. If you think this is amazing then wait until tomorrow. Yosemite National Park is, without a doubt, one of the most visually stunning natural wonders in North America. We will enter the Park from the west entrance and cross Tioga Pass at an elevation of almost 9,000 feet as we cruise along crystal clear mountain lakes and peaks that are hanging on to their last remnants of snow. The sun is warm and the air is fresh as Yosemite Valley and El Capitan still lie ahead. The sun climbs into the sky as we open to the endless green meadows of the valley floor. Lunch today is on a picnic bench under the shade of a giant Redwood. No cell phones, no rush hour, no worries. Today is about you and about this place. Soak it in. Today will take you and the Ride Free group from the serenity of Yosemite to the cool and vibrant streets of San Francisco. We’ll ride through the Northern California countryside for a nice stretch before we drop down towards Sausalito on the Pacific Coast. Soon we’ll be perched on a high peak to gaze over The Golden Gate Bridge before riding across and into the heart of the San Francisco Bay and Ghirardelli Square for the first of our two night stay. From here everything that San Francisco and the surrounding area have to offer is at your fingertips. The Ride Free Tour Team has a few favorite spots we like to hit for dinner and some great blues and jazz music. We can’t wait to share this exciting city with you. San Francisco is such a great city that we have to give you two days to really enjoy it! Take a cable car ride through the city, tour legendary Alcatraz Island or just relax on the San Francisco waterfront. It is up to you. 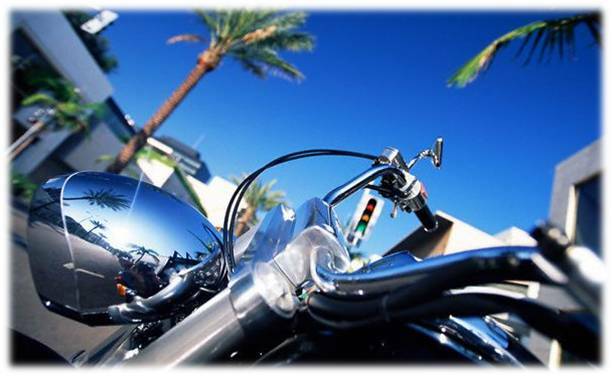 The Ride Free Tour Team will be taking a group on an optional winery tour through Napa Valley or Sonora Valley. These tours typically stop at 4 – 5 wineries and always involve lots of wine tasting so, for safety sake, we will be traveling via private van or shuttle bus. As always, let the Ride Free Tour Team know if you have any special requests and we will do everything we can to make you stay in San Francisco memorable. Today we turn our journey south and start the first of four days of riding on California’s Pacific Coast Highway 1, a long stretch of winding ocean side highway. Highway 1 is a motorcycle rider’s dream, pure and simple. From Hollister, it is just a short hop down the hill past Carmel (the coastal city where Clint Eastwood was Mayor) and into Monterey Bay. Monterey’s Cannery Row and world famous aquarium have been favorite spots of the Ride Free family for years. You will love this quintessential California coastal town. The Ride Free Tour Team gets to sleep a little late this morning as we do not leave Monterey until 12:00pm. 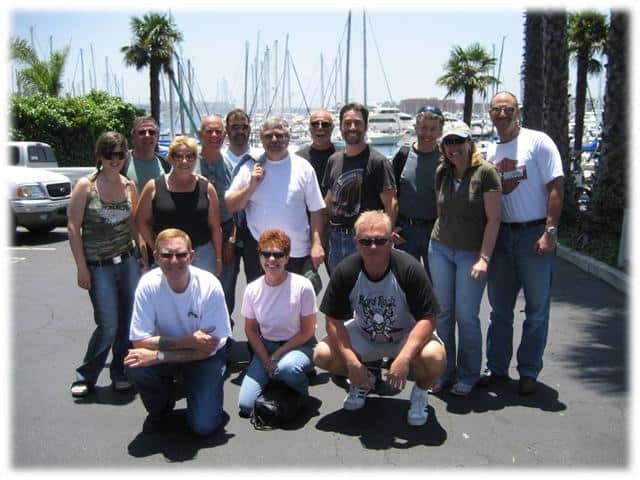 This gives the Ride Free group plenty of time to enjoy Cannery Row for some great food or tour the famous Monterey Aquarium. There is actually plenty of time for both if you like. Now, get ready for an amazing day! Within the first few miles we will hug hair pin corners as we cruise the sea side cliffs that open to the Pacific Ocean. We will stop often to take in the scenery and many opportunities for breathtaking photos and video. Riding the California Coast is something that has to be experienced to fully appreciate the views. Today is not a view here and a view there. Today’s ride is a visual sensation from start to finish. We will get an early start this morning because we have a special treat planned for lunch today. After a short cruise along the coast we will turn inland for a stunning ride through the foothills of Santa Barbara before dropping back down and into one of the most beautiful cities in Southern California, Santa Barbara. Lunch today is long and lazy. Oh, and it is on the famous Santa Barbara Pier! Heads will turn as the Ride Free group rumbles down the wooded planks of the pier to park our bikes 1/8 mile over the Pacific Ocean. We will be sure to leave plenty of time for souviner shopping after our group lunch on a waterfront terrace. Most of the group usually leaves Santa Barbara Pier with a couple of bags of fresh hand pulled taffy and t-shirts for their kids and family back home. We’ll get an early jump on the day and continue our journey along the Pacific Ocean as we point our bikes south towards Malibu Beach as we rumble past the long row of celebrity homes that line this world famous stretch of sand. Santa Monica Pier will be our last dash along the Pacific as we turn inland towards Los Angeles and the end our journey together. Lunch today is at the Ride Free Tour Team’s favorite L.A. eatery. We will have plenty of time to reflect on the experience we shared together and, most likely, will start planting the seeds for our next adventure together.